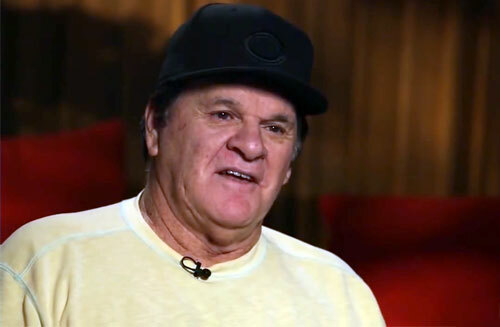 Pete Rose is a former Major League Baseball player from 1963 to 1986 and MLB manager from 1984 to 1989 doubling as player-manager for a time. Rose is a three-time World Series champion for 1975, 1976 and 1980 as well as World Series MVP for 1975. Playing for the Cincinnati Reds against the San Diego Padres in 1985, Rose became known as the “Hit” King with his career hit number 4,192 when he broke Ty Cobb’s all-time record of 4,191 hits. Pete Rose has set numerous records and achievements among them most career at bats (14,053), most career hits (4,256), most career games played (3,562), most consecutive seasons of 100 or more hits (23) plus many more. PFP Sports Talent Agency is a top booking agent for motivational sports speakers and sports personalities. If you would like to book MLB stars like Pete Rose for a speaking engagement, personal appearance or special event, you can request Pete Rose agent and speaker information from PFP Sports Talent Agency or call 800.966.1380.